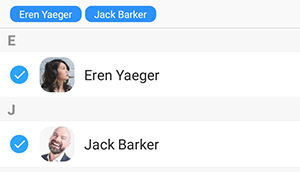 Channels allows you to easily create private or public groups, send group chats, files, screen captures, images and start an instant group meeting with or without video. 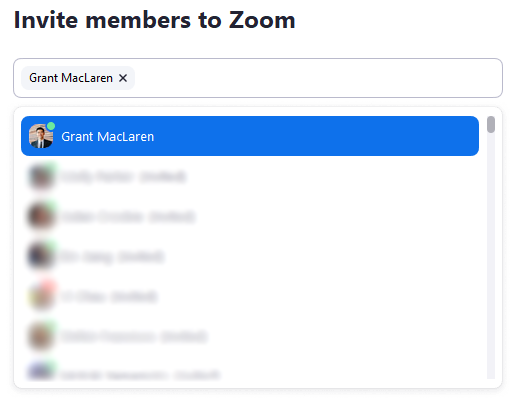 You can use group messaging on Mac, PC, iOS and Android devices running Zoom. Log in to the Zoom client. 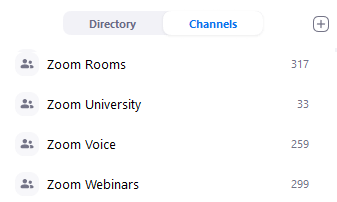 Click Channels to see a list of channels you currently belong to. Click the plus icon , then click Join a channel to view a list of channels you can join. 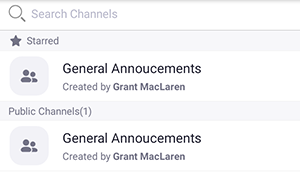 Use the search bar to find a channel, then hover over the channel name and click Join. Channels you have joined will be indicated by the group icon in your chat list. The chat list will also indicate if the channel is Public or Private. You can put a star on important channels, placing them under STARRED in your chat panel and allowing you to quickly view them later on. Click the channel you want to star. Click the star icon . The starred channel will appear in the STARRED section of the chat panel. Click the plus icon , then click Create a Channel. Channel Name: Enter a display name to help others identify your channel. Invite members: Enter a name to search for people to invite, then click the name to add them to the invite list. Private: Only invited people can join your channel. Public: Anyone in your organization can join your channel. If you created a channel, you can change its name and change channel privacy settings. Select the channel that you created, then click Edit. You will be able to edit the channel if you are listed as an Admin. Channel Type: Select the channel type. 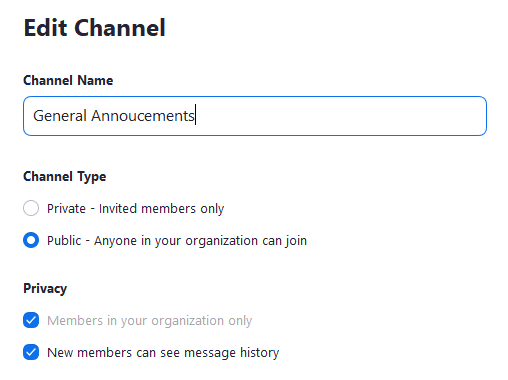 Members in your organization: Only allow members of your organization to be invited to the channel. This option is only available if your channel is Private. New members can see message history: New members can see chat messages made before they join. Click the channel you want to invite members to. Click the info icon , then click Invite Others. 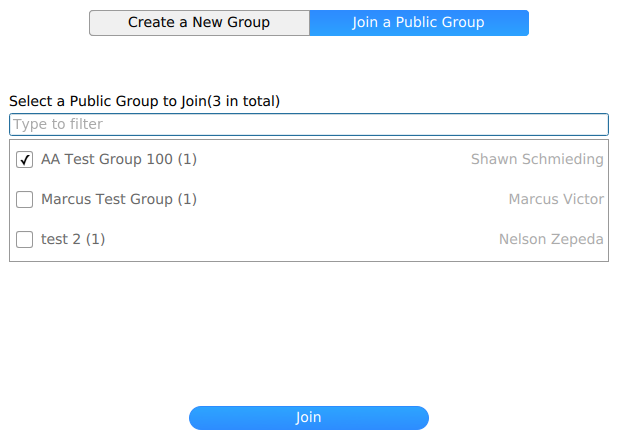 Use the text box to search for members, select the members you want to invite, then click Invite Members. Channels are indicated by the group icon in your chats list. Click Join a Public Group to view a list of channels you can join. Use the search bar to find a channel, then select the channel and click Join. 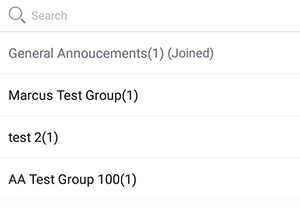 Channels you have joined will appear under Groups in your chat window. 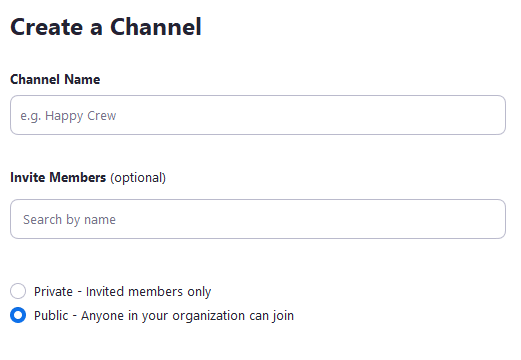 Members in your organization only: Only allow members of your organization to be invited to the channel. This option is only available if your channel is Private. Click the channel that you created. 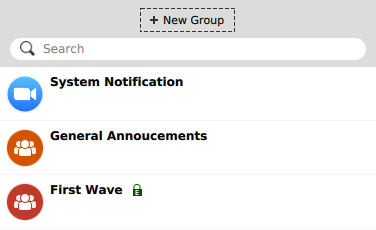 Click the More drop-down menu, then click Group Settings. Channel Name: Click the pencil icon beside the display name to change it. 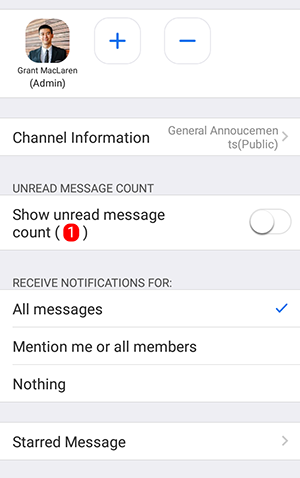 Enable message notifications: Notifies you when there are new messages in the channel. New members can see message history: New members can see chat messages sent before they joined. Click the More drop-down menu, then click Invite Contacts. 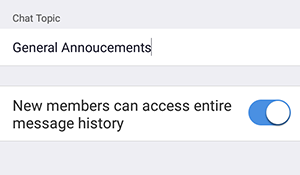 Use the text box to search for members, select the members you want to invite, then click Save Changes. Log in to the Zoom app. Tap the Channels tab to see a list of channels you currently belong to. 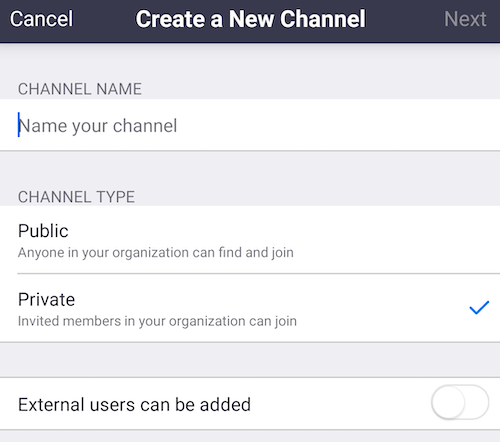 Tap the plus icon in the top-right corner, then click Join a Public Channel to view a list of channels you can join. Use the search bar to find a channel, then tap the channel to join it. Tap the channel you want to star. Tap the info icon beside the channel name, then click the star icon . The starred channel will appear in the Starred section at the top of your channels list. Tap the plus icon in the top-right corner, then click Create a New Channel. 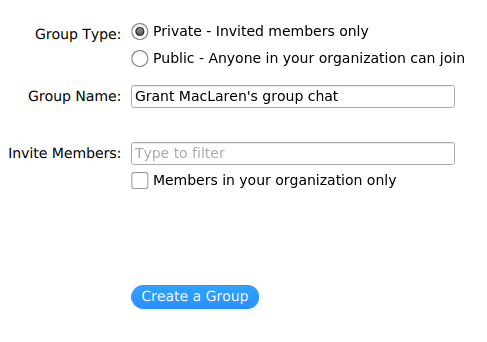 Use the text box to search for members, select the members you want to invite, then click OK. Tap the channel you want to edit. Tap the info icon in the top-right corner. Chat Topic (Channel Name): Enter a display name to help others identify your channel. Tap the channel you want to invite members to. Tap the plus icon beside the admin.